I blog every two weeks on a somewhat erratic schedule. Writing is of course my first priority, and so too sometimes is life (and skiing). Blogging allows me to share what I've learned through research and experience. Your thoughts are always welcome. I have also added a few more topics to the "marketing your book" list – book events, participating in an anthology, and Lendle. I will cover those in part eight of this series and will continue to add new ideas as opportunities arise. I have also made sure to update earlier posts with new data as I have added to my marketing experience so be sure to check back on earlier posts for new information. Getting your book on the shelves of local independent bookstores is an important part of your marketing platform. This is especially true of bookstores in your local community if you live in a small town, as many of your friends will want to buy your book and they will also want to support their local bookseller. One of the sales people at our local store took an interest in my book and talked it up to many customers. As a result, I sold almost forty books from my local bookstore alone. But it is also important to try to get your books into bookstores in the surrounding area. Because you are "local" you will still have some appeal for buyers and independent booksellers will often help you out by putting your book out in displays with other local authors (I also saw advice that you can buy foil stickers that say "local author" on-line and just slap them on your book. I have not done this yet but it seems like a good idea). In order to get into independent bookstores, you generally have to be willing to take returns – that is your books is basically on consignment at the store and if it doesn’t sell, you don’t get paid and you have to go retrieve your book. As a result, I kept the bookstores I approached within driving distance and on routes that I often travel for work or holidays - otherwise you have to pay the postage to get your book to the store and get your returns back, which will probably decimate any profit you may have made. Booksellers will also want a reasonable margin. Some say 40% is the standard, but I found that booksellers in my local area were willing to take a little less once I explained my costs. In order to interest them, I did up a sell sheet with some of my best reviews, contact information, book blurb and a general outline of what I was hoping for from them. I found this to be an effective way to approach them. I emailed out the sell sheet and told them I would drop by with a copy of my book for them to look at. That way they could think about it without me standing there and I didn’t have to walk in and introduce myself totally cold as they had some idea who I was. So far, I don't think I have sold a HUGE number of copies, but I have sold copies and five local booksellers have taken my book. Some experts would say that it is not worth the effort of trying to get your book on bookstore shelves, but if you keep your effort limited I think it is worth it. Being in your local bookstore just gives you some street cred as a writer, and it is certainly nice to see your book on a shelf somewhere other than in your own office (it is also nice to see an empty spot where your books once were because they sold out). It also helps to support local booksellers which I would argue is very important. Some other tips that I have not tried in this regard but might in the future include: 1) Signing up with a regional book distributor so that booksellers can order from them instead of you. This might work if your book is already established and there is a demand for it, but at this point if you are an unknown, the bookseller still has to hear about your book, and that means you have to go into the store. 2) Listing your book with Nielsen or Books in Print. This may help again if your book is in demand, and it may help with your credibility when you go into stores. But again, the reality is that you need to be discovered by these booksellers and the main way you are going to accomplish that is by standing in their store wearing your best and most sincere smile. 3) Ensuring your promotional material, including your website, do not just list your book as being available on Amazon. After all, Amazon is one of their main competitors. Why would they want to take a book that heavily promotes their competitor? Bottom Line: All of the bookstores I approached took a few copies of my book and while I have not made scads of money this way, it has helped to get my name out there and some people (understandably) just love buying their books from a local bookstore. Who really are your biggest fans? Well, okay more accurately who are your first fans? Your friends. And hopefully if you are a good enough writer, they will continue to be your fans. I don’t market to my friends a lot, because really they like me for reasons other than my writing. 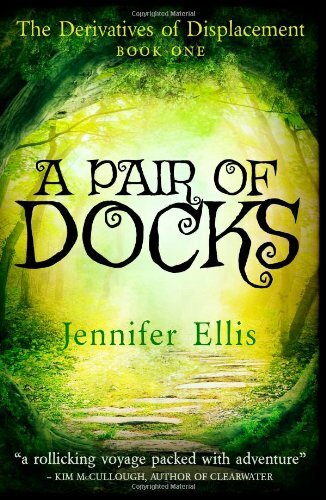 But when A Pair of Docks first came out, I did post it on Facebook, which thanks to my lovely friends, did create a small Facebook frenzy – probably because I rarely mention my writing on Facebook, so many of them had no idea I even write, never mind that I had a book coming out. Of course now a few of them actually think I’m rich, but that is another story. My friends were super useful in giving A Pair of Docks an initial boost, especially on Amazon.ca and pushed it into the number one spot on the Hot New Releases in my category within 24 hours of releasing it. In addition, when it was doing really well as a result of a promotion that I did in February, I asked my friends to buy it at that point in time – but only if they had been planning to buy it anyway. It is possible that their additional purchases were enough to push me into the number one slot in my category. It might have hit number one anyway without the help of my friends, but I’m still very grateful for their support. Bottom Line: Your friends count as customers and make sure you do not ignore them. They can help get your book off the ground and be those extra few purchases in times of need. It’s also just nice to have people say to you in person “I loved your book.” Make sure though that you are respectful and only market to them on occasion. Endless reminders to “buy my book” will not go down well with your friends – and nor should it. Okay so I’m tainted. I’m not watty material. I have never been able to quite find my way in these social marketing networks that require a lot of interaction and friending and reading of other people’s material on the part of the writer in order to sell a few books. I would rather just write and read the stuff I want to read. 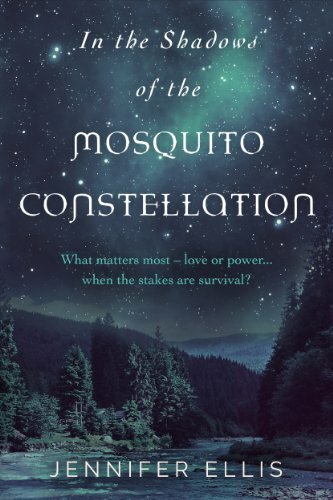 I also find it easier (for me) to spend the time I would spend cultivating relationships in these social networking sites working for pay, so that I can afford more effective (in my mind) advertising for my novels. I know that writing these days is all about building relationships and a fan base and I am not adverse to interacting with people, but I am just not sure if the amount of time and types of interactions facilitated by Wattpad lead to that result. It is, it seems, mostly a community of writers, and while it is great to have writer friends, you need to have a community of readers. That is like the longest disclaimer ever. For some people Wattpad works. Some people have gotten traditional publishing contracts as a result of their huge popularity on Wattpad. But does Wattpad actually sell books? I am not so sure. Most people are on Wattpad in order to access free writing, and in order to promote their own writing. Once you have read something for free, are you actually going to go out and buy it? Some people try to get around this by posting first drafts or the first half of their novel on Wattpad and then telling people to go to Amazon for the final copy. However this is not considered to be cool Wattpad behaviour. For the most part, to be successful, you need to regularly post new chapters and be willing to share an entire novel for free. I know a writer who has been hugely successful on Wattpad with over 400,000 reads on her novel, but when I checked her sales rankings on Amazon, it did not seem that her Wattpad success has translated into sales. Maybe it will translate into sales on future books though. Wattpad is also a community of, for the most part, younger females. Thus the books that tend to be most successful on it are YA, fan-fiction, paranormal, fantasy and romance. This creates a different set of social norms than curmudgeonly old people like me are used to (okay I'm not that old). While most people of course were respectful, some of the dramas that unfolded there during my brief testing period, in which writers would publicly post rants that people were asking for their next chapter and they were busy and nobody understood, were a bit wild. My life is dramatic enough. I am not sure if I need to partake in that kind of on-line drama. On the other hand, if you have a novel in your drawer that is in reasonably good shape and you don't have aspirations to publish it right away, you can throw it up one chapter at a time as a serial on Wattpad. This could be a low interaction way to potentially attract readers and purchasers for your other work. It still requires work though. You want to ensure that it is error free and you still have to check back in and respond to comments from readers. CJ Archer offers some great thoughts on how Wattpad can work for writers and how she used it to promote her YA novel The Medium. Also scroll down and read the comment from Charlotte with regard to using Wattpad promotions. This may be a useful strategy to consider. Again though, it is all about having an entire novel you are willing to share for free, and while I might get there some day, I don't quite have enough material yet. Bottom Line: As with any social networking writing site, you get what you put into Wattpad out of Wattpad. If you are willing to take the time and comment on other people’s work, you will probably get reads for your work. Some people seem able to get a lot of reads without putting in that networking time, but not many. Certain genres that appeal to younger people seem to do better on this front than others. It is unclear, though, whether Wattpad popularity translates into sales, unless you have an entire novel (potentially the first in a series) you can share for free. Sign up for my mailing list and receive blog posts like this one, my guide to indie publishing and other freebies. When the body says... follow your dream? How Many Hours to Write a Novel?